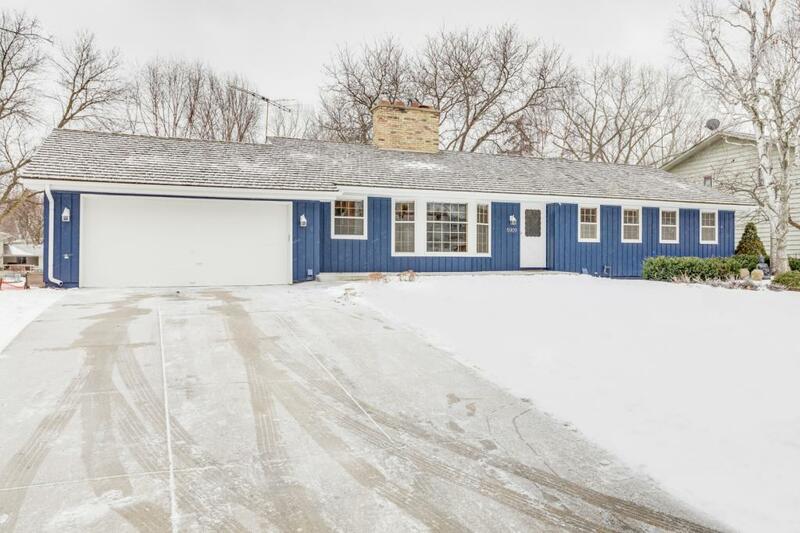 Beautiful Edina home, just moments from Bredesen Park. With a combination of vintage charm and tasteful modern updates, this home is a must see! Kitchen features SS appliances and granite counters, and the walkout lower level is fully finished with a tasteful neutral palette. Enjoy the beautiful vaulted wood ceilings on the main level - this is not your standard rambler! Outside, the back yard boasts a large cement patio, play structure, and tire swing - lots to enjoy once the snow melts! The content relating to real estate for sale in this Web site comes in part from the Internet Data eXchange ("IDX") program of Regional Multiple Listing Service (MN) - Northstar MLS. Real estate listings held by brokers other than the website owner are marked with the IDX Logo and detailed information about each listing includes the name of the listing broker. The information provided by this website is for the personal, non-commercial use of consumers and may not be used for any purpose other than to identify prospective properties consumers may be interested in purchasing. Some properties which appear for sale on this website may subsequently have sold or may no longer be available. This content was last updated on 04/25/2019 08:00 All information is subject to change and is supplied by seller and other third parties and should be independently verified. Information is deemed reliable but is not guaranteed.